City Arts & Lectures presents Cornel West discussing his latest work, Black Prophetic Fire, in conversation with Astra Taylor, author of The people's platform: Taking Back Power and Culture in the Digital Age. Click here for more information. 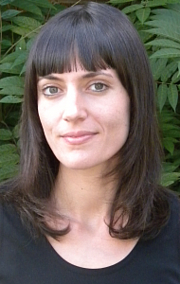 Astra Taylor is a documentary filmmaker, writer and political organizer born in Winnipeg, Manitoba, and raised in Athens, Ga. In 2006, Filmmaker Magazine named Astra one of the 25 new faces to watch in independent cinema. Her feature documentaries, Zizek! and Examined Life, both premiered at the Toronto International Film Festival and were screened around the world. Astra is also the editor of Examined Life: Excursions With Contemporary Thinkers, the co-editor of Occupy! Scenes from Occupied America and the author of the Kindle single Unschooling. Astra has also contributed to the Baffler, BOMB Magazine, the London Review of Books, n + 1, the Nation, Salon and other outlets. Her forthcoming book, The People’s Platform: And Other Digital Delusions, will be published in the U.S., Canada and the U.K. in 2013. One of the founders and co-editors of the Occupy! Gazette, a five-issue movement broadsheet that was distributed for free in print and online, Astra has recently been active in the Occupy Wall Street offshoot Strike Debt. She is also one of the instigators of the Rolling Jubilee, a campaign that buys debt for pennies on the dollar and then abolishes it. The Rolling Jubilee launched in November 2012 and went viral, raising almost $600,000 and garnering attention in major media outlets. Astra Taylor's book Democracy May Not Exist, But We'll Miss It When It's Gone is currently available from LibraryThing Early Reviewers. Astra Taylor's book The People's Platform was available from LibraryThing Early Reviewers. Astra Taylor is currently considered a "single author." If one or more works are by a distinct, homonymous authors, go ahead and split the author. Astra Taylor is composed of 1 name.